Skin Serenity Spa is the place to find the best skin care services, education and products. 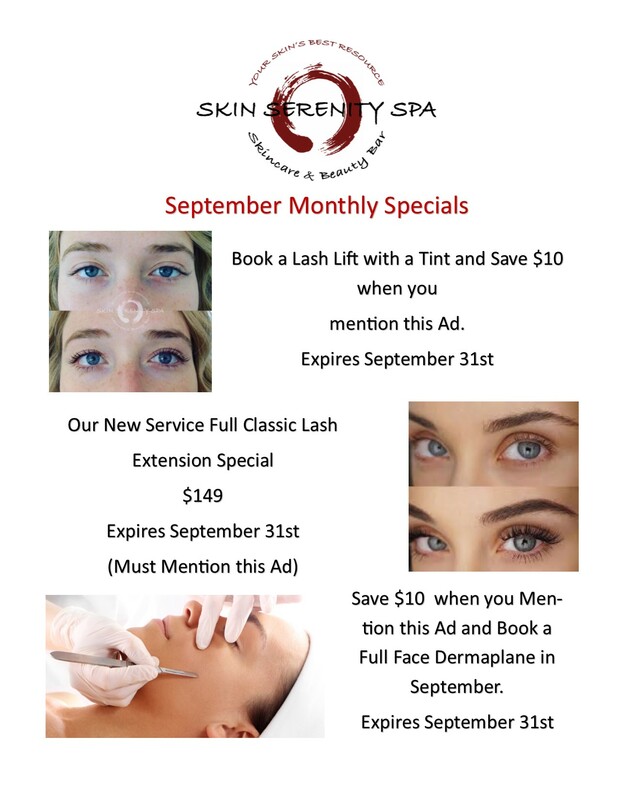 Founded in 2011 by Candace Lopes, Skin Serenity Spa has earned an outstanding reputation for providing results driven skin care and body services that are both unique and therapeutic. We know you will enjoy a zen-like atmosphere when receiving the pampering, care and education we provide to all of our clients. At Skin Serenity Spa, our goal is to create pathways to inner health and external beauty for each guest. We offer customized levels of all services where each moment caters to your selected intention. Skin Serenity Spa staff will guide you in selecting the services that will personalize your experience to achieve your desired results. Educating you is one of our main priorities. We will train and prepare you to continue your treatment at home.